Elephone S7 is a mobile device packed and designed with triple protection against explosions. The device is well decorated with an explosion proof membrane such as tough TPU shell. And it undergone series of experiment continually when tested for explosion with different batteries. The company in charge of producing the phone made sure to see that they don't experience or encounter the similar explosion experience that other company like 'Samsung' faced with the recent produced Galaxy Note7 phones. 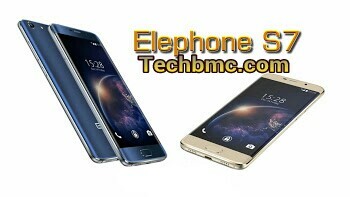 Meanwhile, this smart Elephone S7 device happens to be the clone of Samsung Galaxy S7 Edge since the look alike. Elephone S7, like i said earlier on is packed with special features which is sure to make you develop a gluttony over it. The device is a very wonderful, metal clad phone. To have It, Elephone S7 comes in three variants, with 16GB, 32GB and 64GB in-built storage respectively. The top model has 4GB of RAM. Helio X20 Deca-core chip which powers this device, and has different type of colors like Blue, Green, Black, and Gold. In respect to the most valued specifications, Elephone S7 features 4G LTE support, Fingerprint sensor, 13MP Camera, Android 6.0 Marshmallow and many more awesome features. Scroll down for the full specification of this smartphone called Telephone S7. The phone is available for purchase, so you can buy it right From Gearbest at a promo price.